JNU 2019 Shortlist for MBA Course will be Available on 15th to 16th & 18th April 2019. 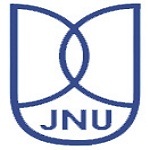 The JNU is popularly known as Jawaharlal Nehru University, which has organized the Jawaharlal Nehru University Entrance Examination (JNUEE) to provide the admission into various courses for students. Those applicants are seeking to get admission in JNU, they can fill the application form through online mode on the official website of Jawaharlal Nehru University. The JNUEE is held once in a year for candidates and those are interested to get admission in this university to complete their undergraduate, postgraduate and Ph.D. programs, they can apply through online mode. The admission procedure will start in the second week of July for candidates. In this article, the complete information of JNU is mentioned for candidates in which include admission procedure, etc. JNU 2019 Shortlist for MBA Course will be Available on 15th to 16th & 18th April 2019. The Link will be Provided Here. 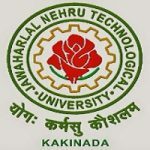 The Jawaharlal Nehru University (JNU) admission procedure will start in the month of June in the second week and those candidates are interested to get admission, they can check the admission procedure through this article. There is the various courses are available for candidates to get admission in JNU. As per the procedure of admission committee, the candidates have to follow the rules and regulation and they should have the eligibility criteria too. The Jawaharlal Nehru University Admission Committee will administrate the work of admission procedure for candidates and it will be done on the central level. Following are the admission procedure has mentioned below. After the declaration of result, the university will release the merit list for the candidates those will be selected for the viva-voce (for some courses). 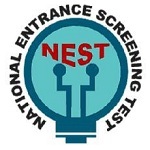 On the basis of the merit list, candidates will be called for the document verification process. 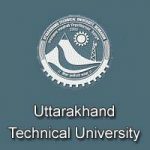 After the viva-voce, the university will again release the merit list of containing the names of candidates those will be selected for the admission on the basis of the viva-voce round. The list of selected candidates will be published through the website or notice board of the Administrative Blocks. Candidates have to register on the official website by filling the pre-allotment form in which they have to fill their choice preference. If you have any other Questions related to JNU 2019 Admission Procedure, you may ask your Queries by commenting below. I have completed my b.tech in 2017 and want to apply for masters in jnu.